The name says it all. 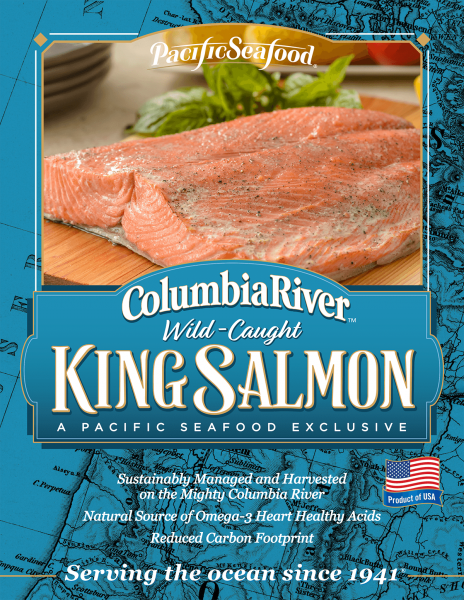 The largest and most prized of the wild salmon, Kings are what salmon are all about: big, silvery, fighting fish, with a rich red meat. These big fish, which can exceed 100 pounds, range across much of the eastern North Pacific, from the Yukon River in Alaska to the Sacramento River in central California. King salmon have the highest oil content of all five species of wild salmon. They are often smoked because the flesh retains its moist characteristic. This much-loved fish is excellent prepared almost any way, though simple, unobtrusive dishes are perfect for letting the natural flavor of the king shine through. Broiling, baking, and grilling are all great ways to cook King salmon. Like other salmon, a good marinade before cooking usually works well.